After the great success of cuboid kit, JOYETECH present the new member of CUBOID series, here comes the Joyetech Cuboid Mini 80W Full Kit 2400mAh. Apparently, the new one has the smaller size, but the appearance is much exquisite than the former one. Cuboid mini battery comes with 2400mah capacity, it can simply meet your daily need. The max output can be 80w, different temperature control mode can bring you various vaping experience. The cuboid mini atomizer fit the battery perfectly fine, furthermore, it is the first square leakless tank with 5ml capacity, and the newly added NotchCoil head can bring you excellent flavor and huge cloud. 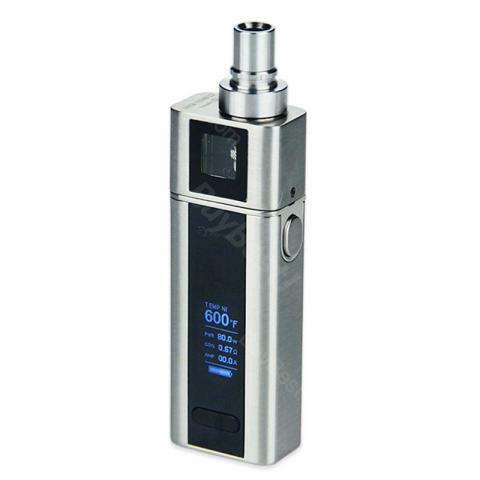 Above all, Joyetech Cuboid Mini 80W Full Kit 2400mAh can be a great kit for you. 4 classic colors for you to choose, get one, you will not regret. The mod is very good and functional compared to my previous one. I ordered only a carcass without a head, complete with a mod and cable. and what surprised me was the instruction, even in Russian. The mod itself is very compact, I imagined it a little more, this size, I think, more suitable for girls, well, the capacity of the 2400 battery, if not mistaken, is too small, one charge will be enough for the day I think. In general, very pleased with this mod. commodity original. Thank you seller. Хороший набор для начинающих, отслужил честно 10 месяцев. Теперь аккумулятор уже сильно сдал, но все равно жаль выкидывать. Отличная вещь за хорошую цену со скидкой! I got my parcel very quicky. My friend recommended me this cuboid mini. Feels good in hand. Love it. Love the special square looking of cuboid. Looks awesome at the desk. The shipping is fast and the package is all good. Cuboid is not bad for me. Buybest is a good shop. Cuboid mini has reat power. The battery can last very long. The only problem is some drop spit in my mouth at first. You have to make sure the coil was fully submerged with liquids.